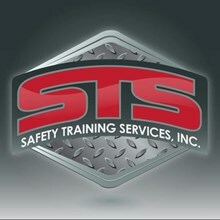 Safety Training Services, Inc. [STS] is a group of retired or practicing firefighters, paramedics, HAZMAT specialists and active rescue team members with first-hand knowledge of the field. Training Services: We offer training programs meeting the requirements of OSHA and where applicable, EPA/RCRA standards. Field Services: We also offer confined space/industrial rescue stand-by teams which can be deployed with a crew and associated equipment to any site in order to provide on-site rescue and retrieval of downed entrants to satisfy 1910.146 (k) requirements. Technical Services: We service and sell safety-related equipment. We also service fire extinguishers and kitchen hood fire suppression systems. To: Safety Training Services, Inc.